Pegavision was founded in 2009. 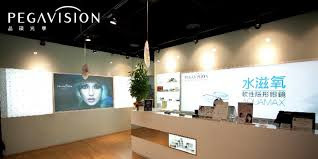 It is a joint venture of Pegatron Corporation and Kinsus Corporation. The major business of this company is manufacturing and sales of soft contact lenses and other ophthalmic medical devices. Parent Company - Pegatron Corp.